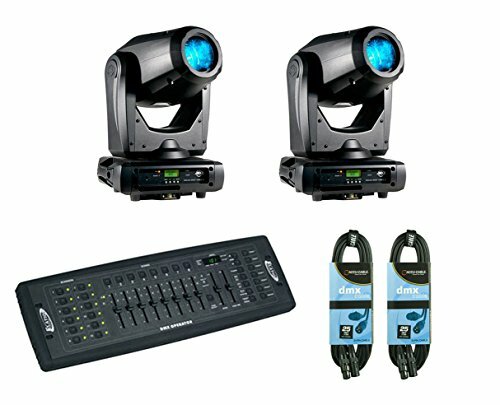 The ADJ Focus Spot Three Z is a 100W LED Moving Head with motorized focus and motorized zoom allowing for a variable beam angle from 12 ~ 20-degrees. In addition, ADJ has fitted the Focus Spot Three Z with one rotating GOBO wheel, one fixed GOBO wheel and one color wheel, letting users generate unique patterns and effects in a series of vibrant hues. There are two 6-facet prisms (one circular and one linear), enabling spellbinding multi-beam effects capable of filling wide spaces with color and movement. If you have any questions about this product by American DJ, contact us by completing and submitting the form below. If you are looking for a specif part number, please include it with your message.